Y type Control valves Manufacturer . Mfg in, M.O.C S.S 304, Screw end & Flange end. 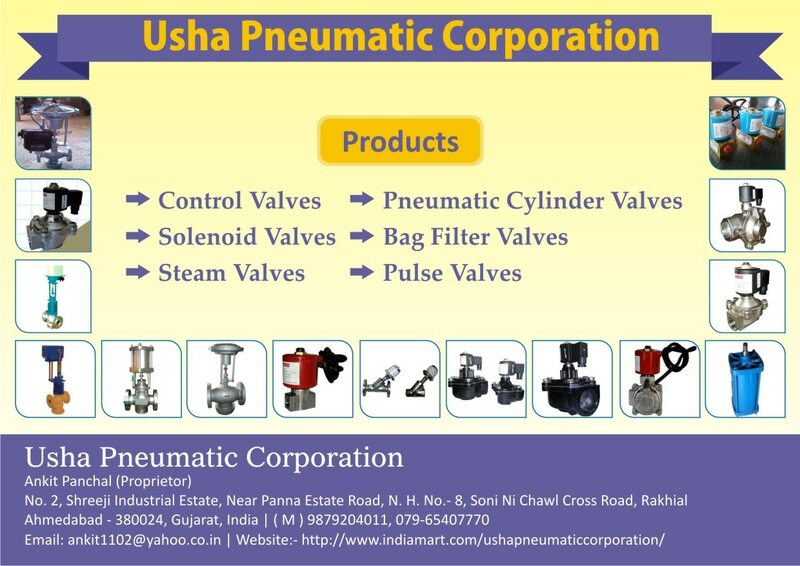 Pneumatic Cylinder Operated Control valve Usha Pneumatic Corporation is presenting Pneumatic Cylinder Operated Control Valves and it is manufactured by our highly experienced team of qualified Engineers. Its remarkable features are its efficient service, Low maintenance & Dimension accuracy. It contains Full Port maximum full of fluid body contain S.S AISI 304 material Steam Seal are Teflon, Fluid Contains AIR, Oil, Gas, Steam & Water, Pneumatic pressure is 3 to 7 Bar.